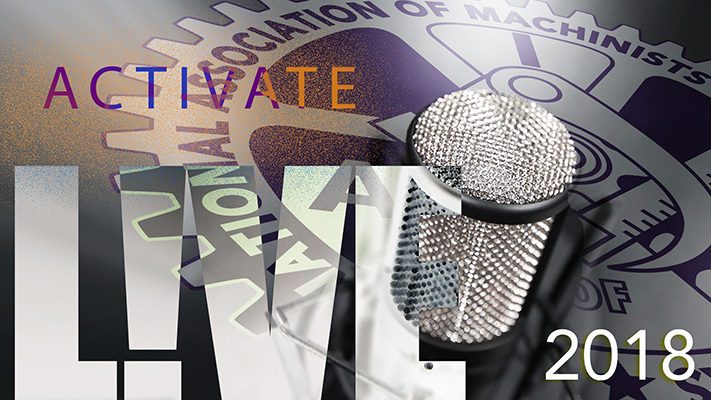 Join the IAM’s live studio webcast of Activate L!VE Wednesday, January 24 at 3 p.m. EST. This week we’ll be talking about the NAFTA renegotiations and how trade deals affect our members, with IAM Canada General Vice President Stan Pickthall. Picktall will discuss the need for fair trade laws from Canada’s viewpoint. We will also be updating everyone with news from around the IAM. If you’re unable to see the show live, you can watch and post your comments anytime.